Some foods just seem festive and fun. There are dinners that we’ve found we frequently order out, but rarely make at home. But why not? Few things that restaurants do are beyond the reach of home cooks, (unless you’re frequently dining at Per Se, or Noma, or Le Bernardin, or…), and whatever you can get out, you can customize at home once you’ve gotten the hang of it. Not to mention, cooking at home is much more frugal. Now you’ve got the best of both worlds! Fish tacos is a meal that falls into the ‘Eat Out But Usually Not In’ category for us (don’t worry – we’re not going to start using the EOBUNI acronym). We’ve had it before and posted a recipe to 2ff, but each time I remember we can cook it at home, I’m somewhat surprised, and always happy about it. It’s a night that feels like we’re eating out, but we’re at our own comfortable table, eating food that’s better for us and cheaper than eating at a restaurant. 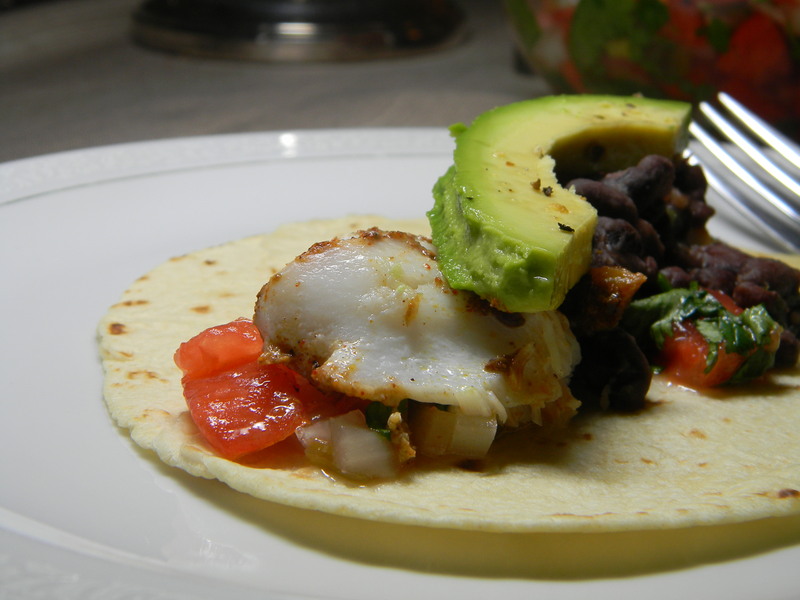 You could look forward to this fun adventure within your own kitchen this weekend, or maybe, you could let fish tacos add festivity to the middle of week – why not make them tonight?